An indoor garden in the center of the house serves to enter a fresh air and sunlight into the house. 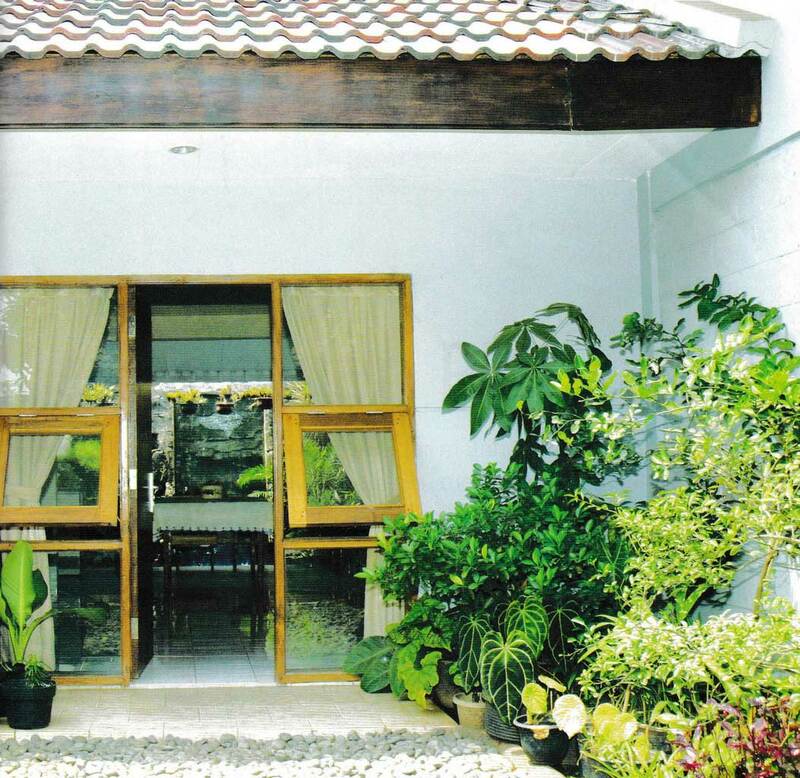 In addition, an indoor garden are also a solution to rainwater disposal. The function of this garden can also as a partition between zones in the house, such as a semi-private zone with a service zone. Rectangular shapes are on the wall above the garage. High rainfall in the rainy season requires proper rainwater disposal solutions. In principle, rainwater that falls on the roof surface must quickly reach the ground. Moreover, horizontal gutters had to be removed due to the intersection of two roof surfaces. For that reason, one of the roof surfaces must be shifted and opened. So there is little space for the fall of water from the two roof surfaces. 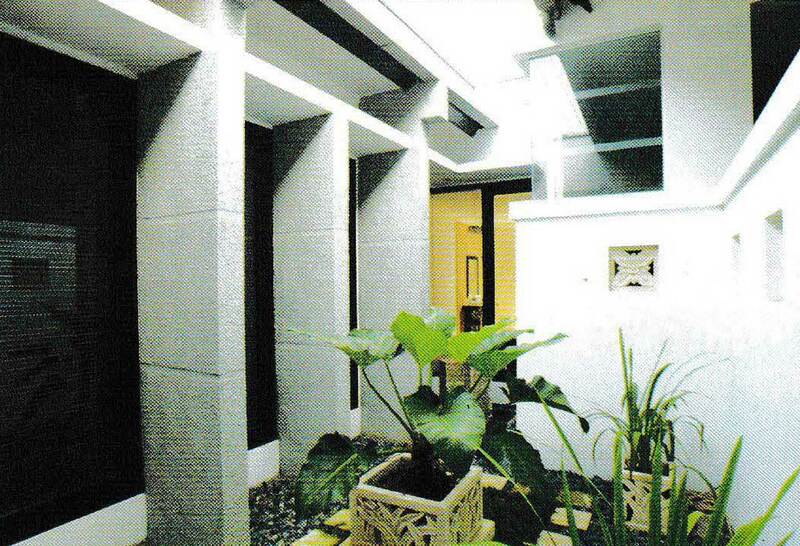 This little space is used as an open garden, located in the center of the house. In this space, the plants are planted with beautiful flowers because the sunlight can enter. The stones also decorate. In addition, in this indoor garden can also be given a small pond with a fountain. Patio between living rooms, garages and kitchens. There is a difference in the roof between these spaces. Thermal comfort is achieved by the number of opening spaces that function as cross ventilation. The opening holes are made with consideration of functions and aesthetics that are well processed so that the physical elements of the building can work well while the appearance can still be attractive. The main house and garage are separated from each other, this separation is used for the patio, so that the fresh air can flow through it. Other advantages are at the garage door, the square element here is not just a patch, but serves as a ventilation hole for the garage and service rooms behind it. At the garage door there is a small square hole, its function as ventilation. The living room door is not on the front side of the building but is placed on the side. The aim is to block the view from the outside when the door opens. Thus, people outside the house cannot see the activities of occupants in the house. This visual processing creates a more private atmosphere that feels comfortable for the occupants. This stone is dark, strong, and not easily mossy. Slab shaped with large size and some small. 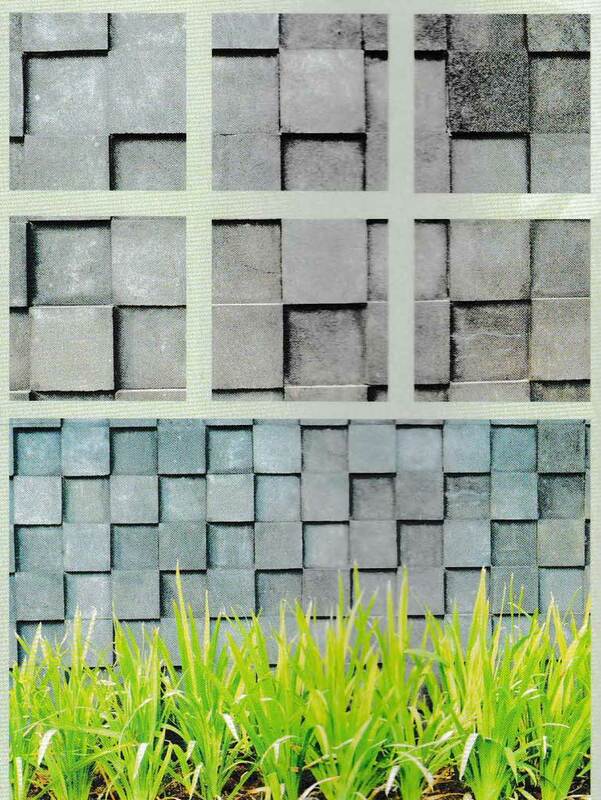 To get more aesthetic value, this natural stone rectangle is arranged jutting out and jutting in. When there are sunlight and spotlights, this type of installation will produce beautiful shadows. The dark and bright of these shadows can produce boxed effects. The natural stone areas becomes the eye-catcher of this house facade. 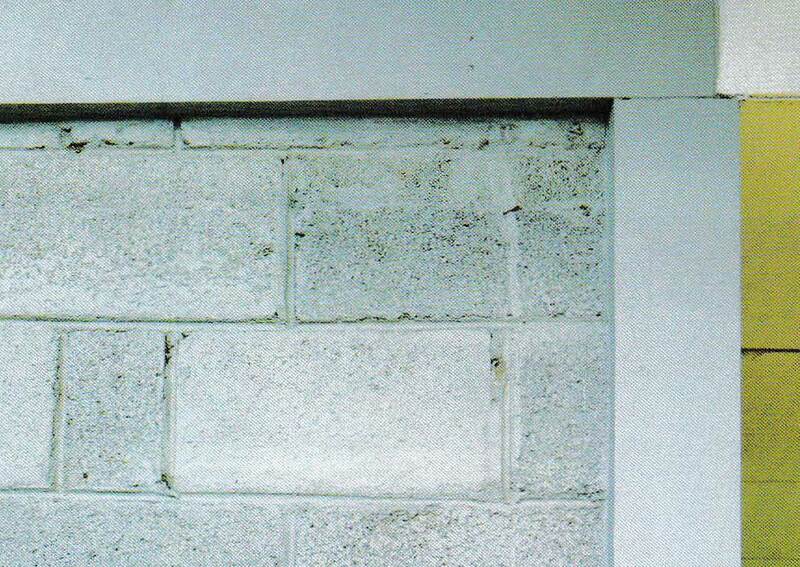 And confirms the consistency of the square that is used in facade design. Playing with plane, both shape, size, texture, and color can add to the level of visual comfort. Geometric elements are widely used here, such as square and rectangular shapes arranged horizontally and vertically. Processing that is full of creativity does not cause the impression of “rain” boxes, but exactly forms a compact composition. 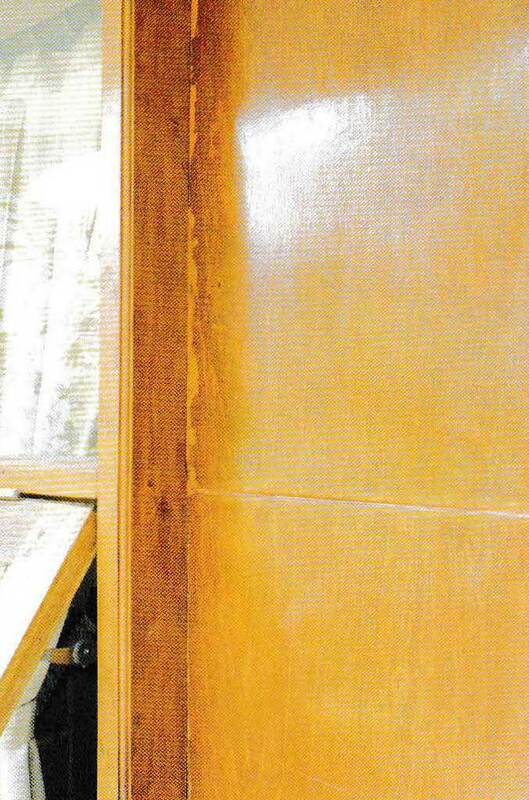 A continued exposure of sunlight and rainwater, resulting in a jamb, door and shutters easily damaged. A search for the cause of the problem is must really do, to find the right solution. Just like the door and window shape no longer uses in one single set, i.e. a frame and a door with a row of windows beside it. Windows and doors use relatively inexpensive materials with the right finishing to produce a good work. There are 3 square windows on the right and left side of the door. One of the windows acts as a hole circulation of fresh air, while the other two are just only as the entrance of sunlight. 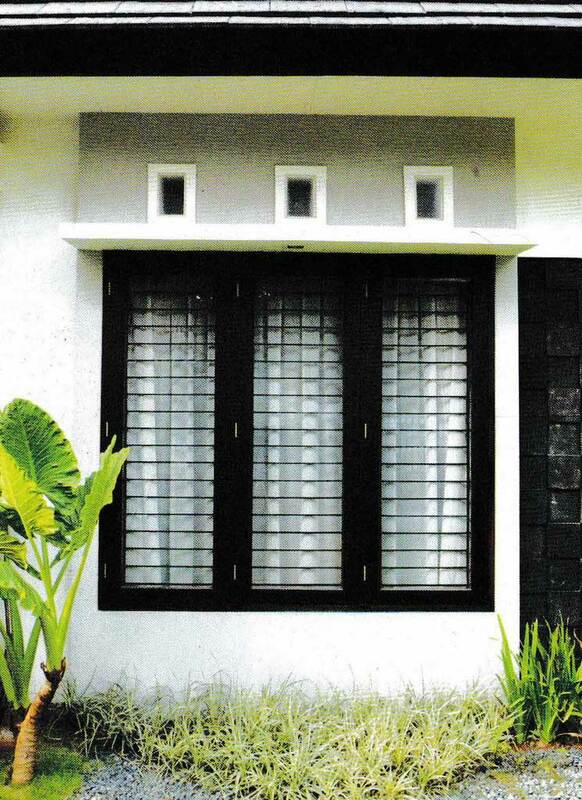 The air easily enters the house by giving an opening that are wide enough on the wall, with shutters that can be opened. Doors, both the main and the side, use plywood material to cover the door frame. In order not to be expensive, the door is made plain. Installation of plywood sheets is spaced, so that it can produce the effect of horizontal lines. Finish with lacquer, suitable for the exterior while exposing the fibers and natural colors. The main door is wider than the side door, but still with the same material. The shape of the window is the same as the window in the main house area. The width of the main door is large enough for one wall area, the closed door type without glass gives a full impression. Tropical minimalism does not need to be expensive. Use material that is exposed, for example, brick and plywood. In this house, the walls use exposed brick. However, the material needs to be finished first so the surface is not rough. To give a solid impression, the brick wall is given a concrete frame, as a column and beam. Aside from being a structural element, the presence of this frame also provides aesthetic value. 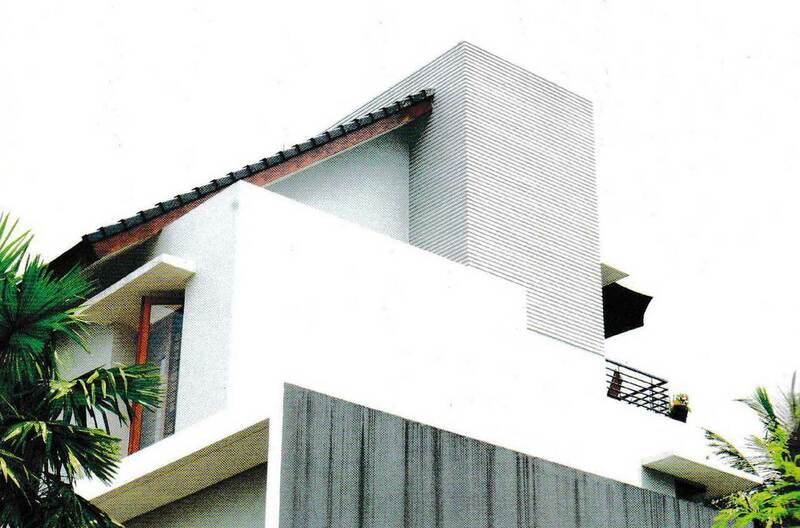 This house uses a type of gable, with a large slope. The gable roof is one of the ideal forms of roofing to respond to the rainy season, which is fast flowing rainwater. But, the gable in this house is a bit different. 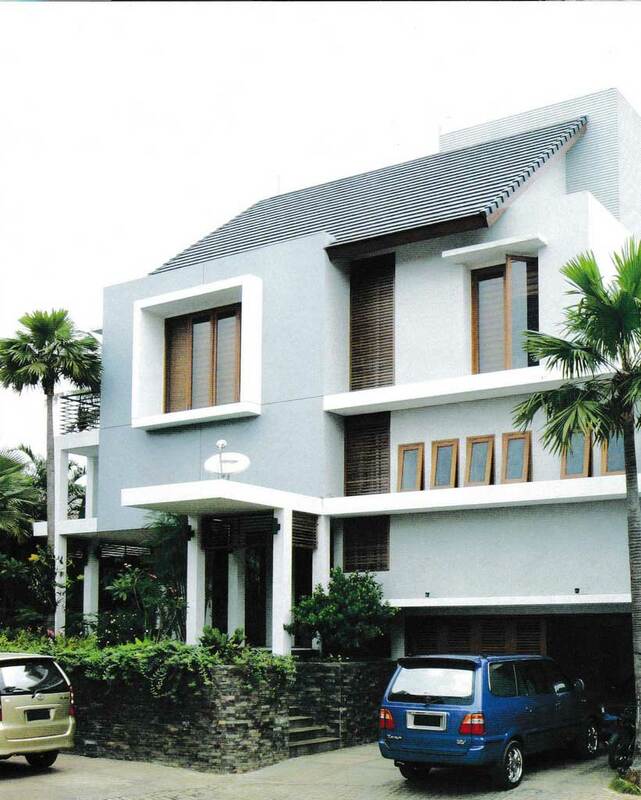 Adjusting to the trendy minimalist style, the roof shape like it doesn’t have slope when viewed from the front. 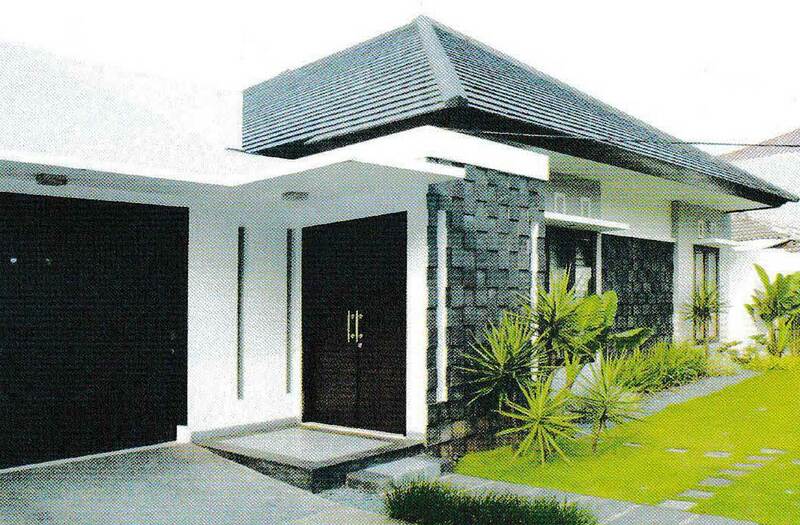 The roof looks flat, consistent with the dominant geometric shape in this house. Geometric shapes dominate the design of the facade of this building. Flat plate above the garage reinforces the impression of the facade horizontally. In order that the presence of utility facilities on the roof does not interfere with the aesthetics of the building’s appearance, so all utilities are covered by a large concrete box. This form is chosen to be consistent with geometric shapes. In each square areas are given horizontal lines. This modification makes the roof look different from a normal gable. This modification makes the roof look different from a normal gable. 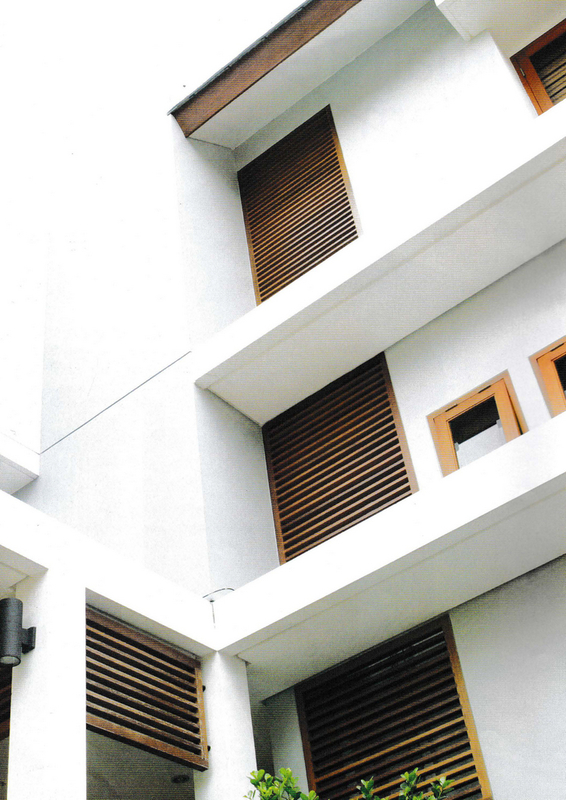 The blend of geometric shapes used as facade elements of the building is a portrait of a minimalist style. All parts of this facade use line or plane elements. Horizontal lines are everywhere, even on the terrace roof using line elements. 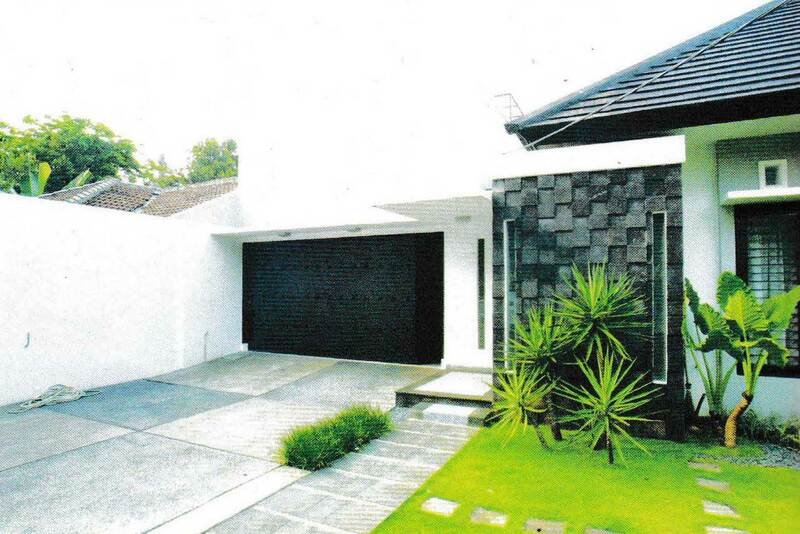 The flat plate above the garage also gives the impression of an elongated facade. The window is quite large, it is not enough just to be given a flat eave above the window. 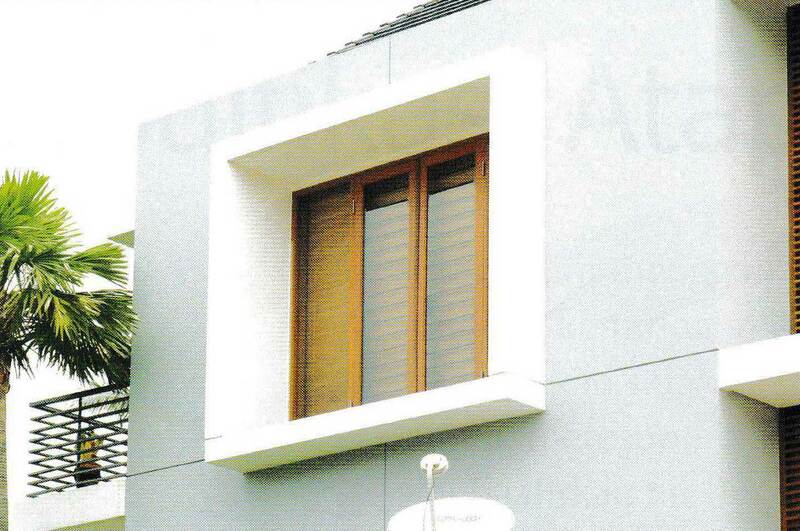 Windows are also framed with concrete material. The color of the facade is dominated by gray combined with white. This facade is a harmonious blend between the vertical plane and the horizontal plane. The Vertical brown area, balancing a rather long horizontal gray area. 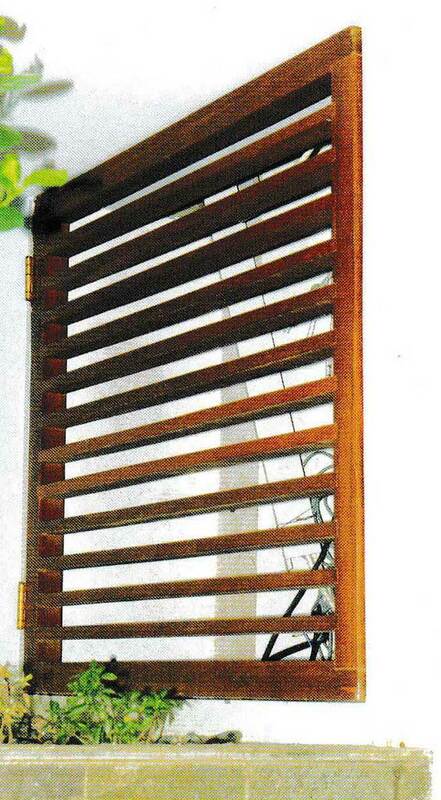 The brown area is not only an accessory but also as a shaft door. The drains from one floor to another are placed outside the building. This is to facilitate repairs if there is damage. 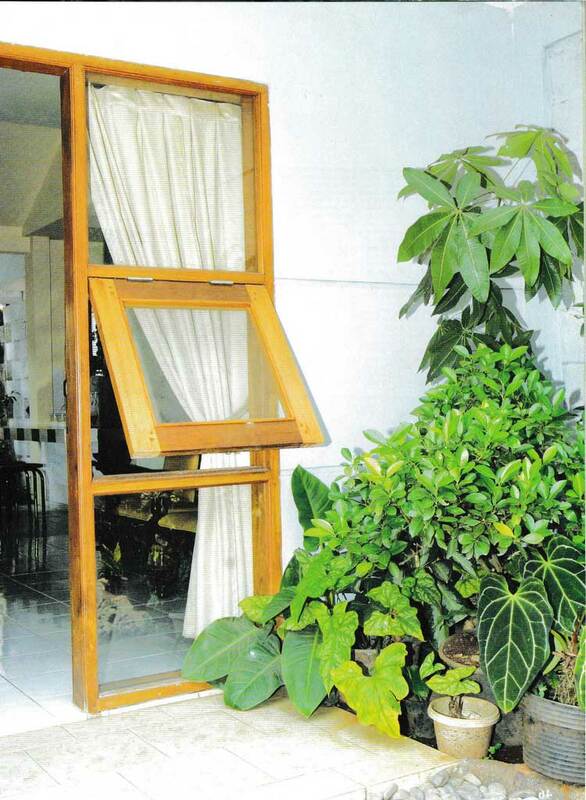 Because the appearance is not good, a “cupboard” shaft is made with a door that can be opened from the outside. The door is a horizontal grid. 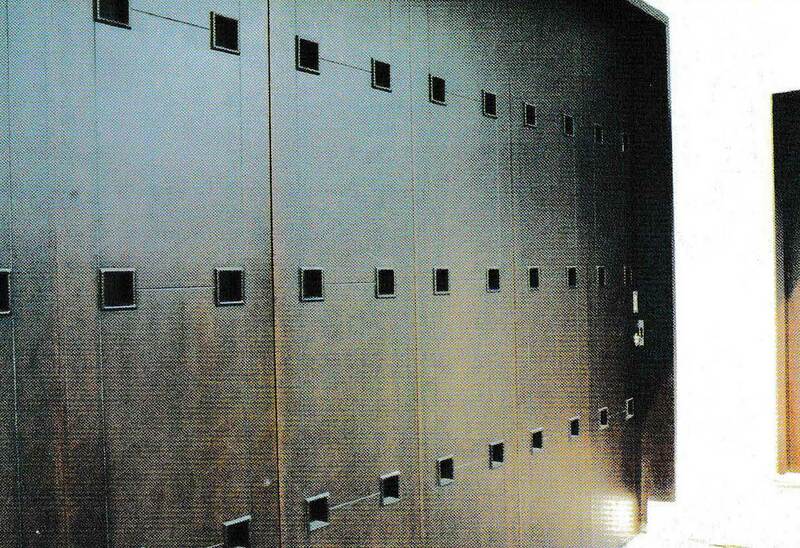 Besides having a function as a shaft door, this door also gives another impression on the facade. So, if you desire to secure all these wonderful pictures about Why Indoor Garden in Minimalist Tropical House so Famous?, click on save link to download the pictures for your PC. There’re prepared for transfer, if you appreciate and want to obtain it, click save symbol on the web page, and it will be instantly down loaded in your desktop computer. 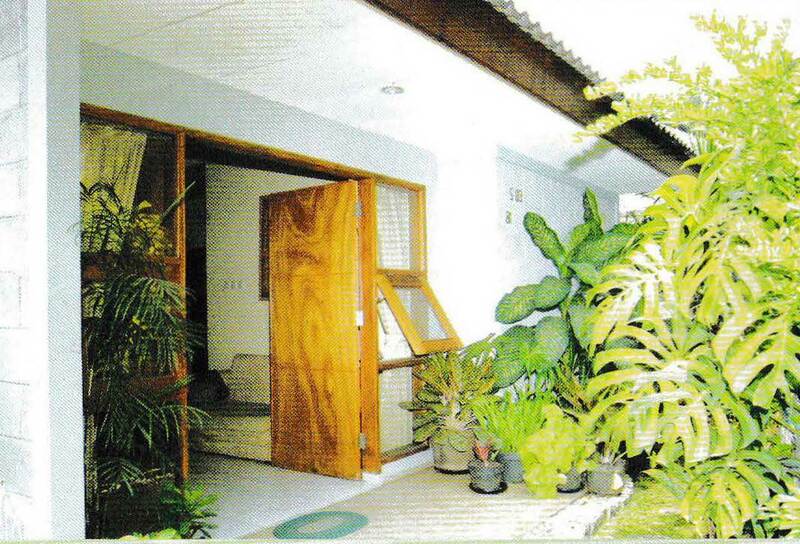 Here you are at Royhomedesign.com, article above Why Indoor Garden in Minimalist Tropical House so Famous? published. Many people attempting to find specifics of Indoor Garden and certainly one of these is you, is not it?